How are you guys doing?! I am busy with several projects, I post them regularly on my Instagram HERE if you wish to check them out. Today I have a CAS card for you. 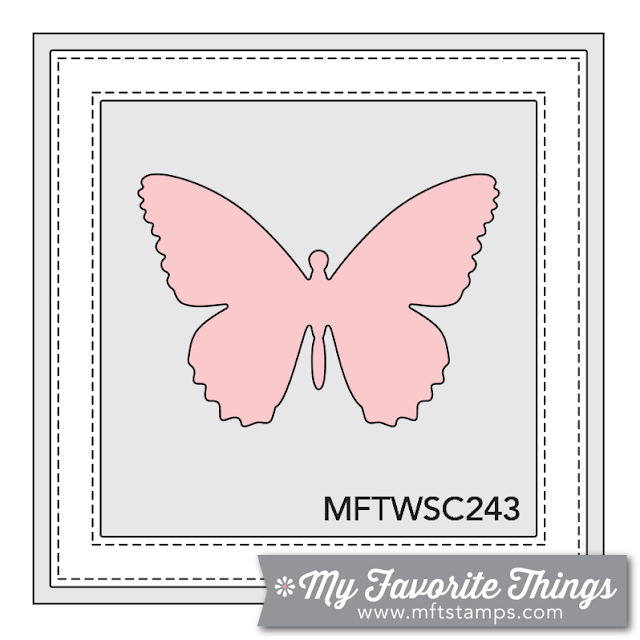 I made this card using one of my favourite sentiment stamp set by MFT Stamps and my Silhouette. 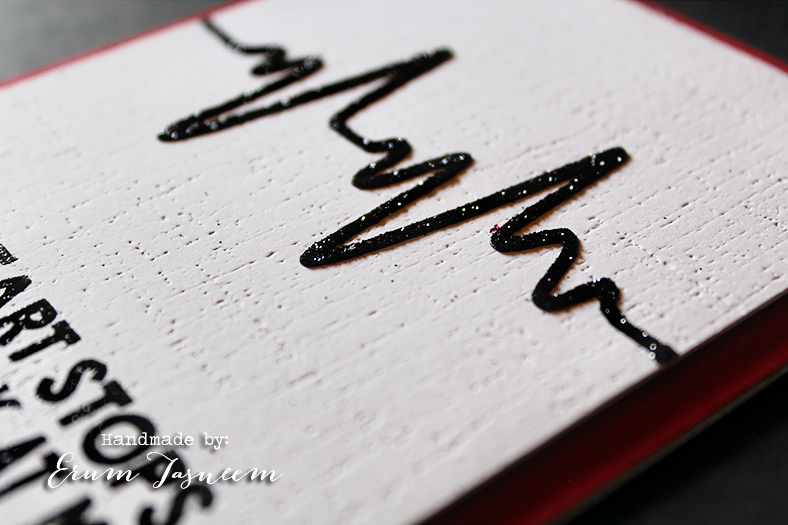 Just glittered the lifeline (ECG line) to add a bit of sparkle and added a bit of glossy accents on the heart. Here is a closer look before I added the heart. All Dressed Up challenge is back from a short break! You will have to use an All Dressed Up digi to enter, we have a free freebies on the blog if you wish to play. 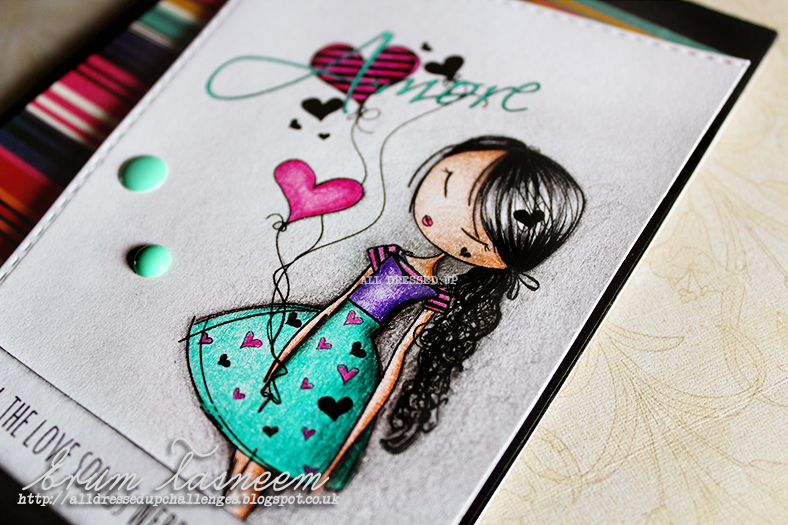 I used "Amore" and colored her using Faber Castell classic pencils. Paper by Basic Grey - Grand Bazaar, brad by Simple Stories DIY. I used the cutie Panda from the Panda Bears set. You will find him at the Etsy store, all links provided at the end of this post. I colored him using Faber Castell classic color pencils. 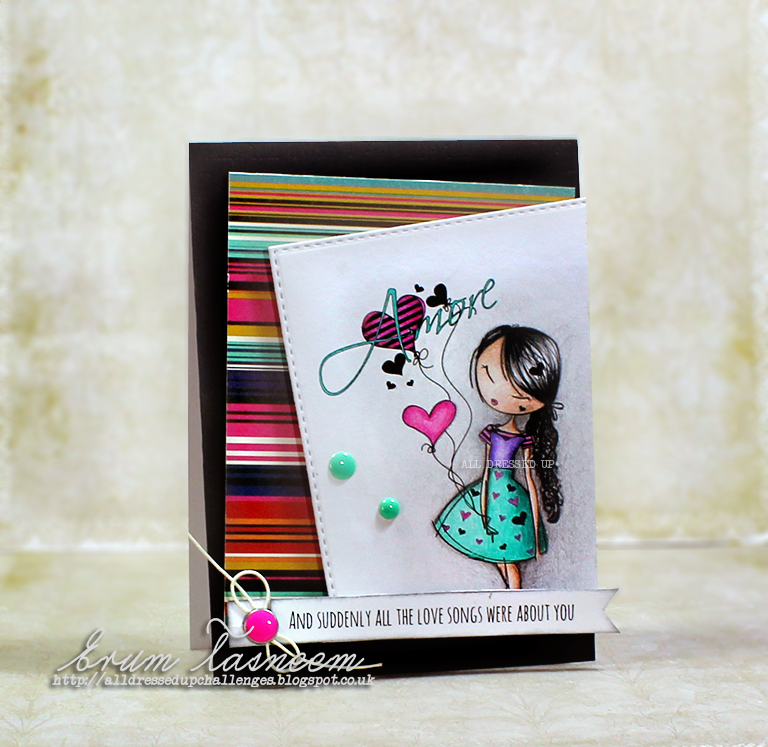 The ombre tag has been watercolored using distress ink and covered in Wink of Stella. The scallop was inked using the same shade then I added some distress glitter to add a bit more sparkle. 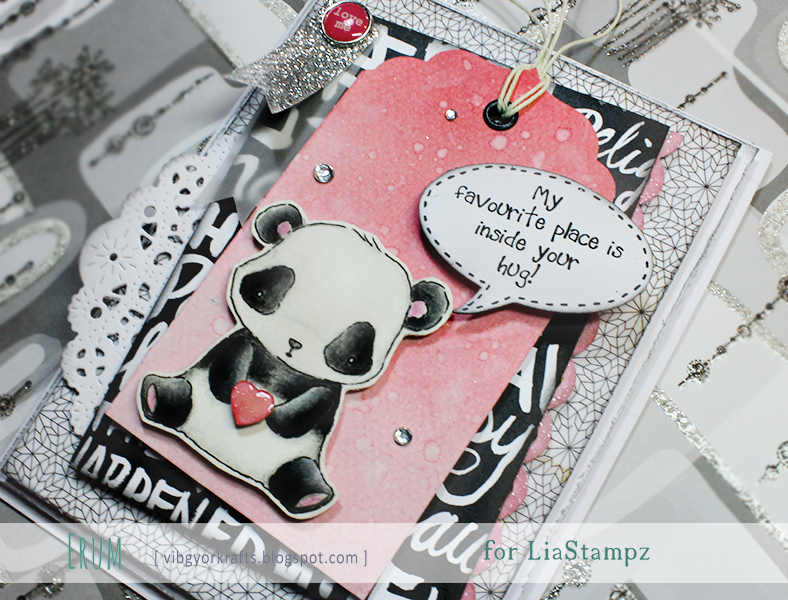 I added wink of stella and glossy accents on the tiny heart that the panda is holding. Papers are from Basic Grey Highline paper pack, brad by MME. 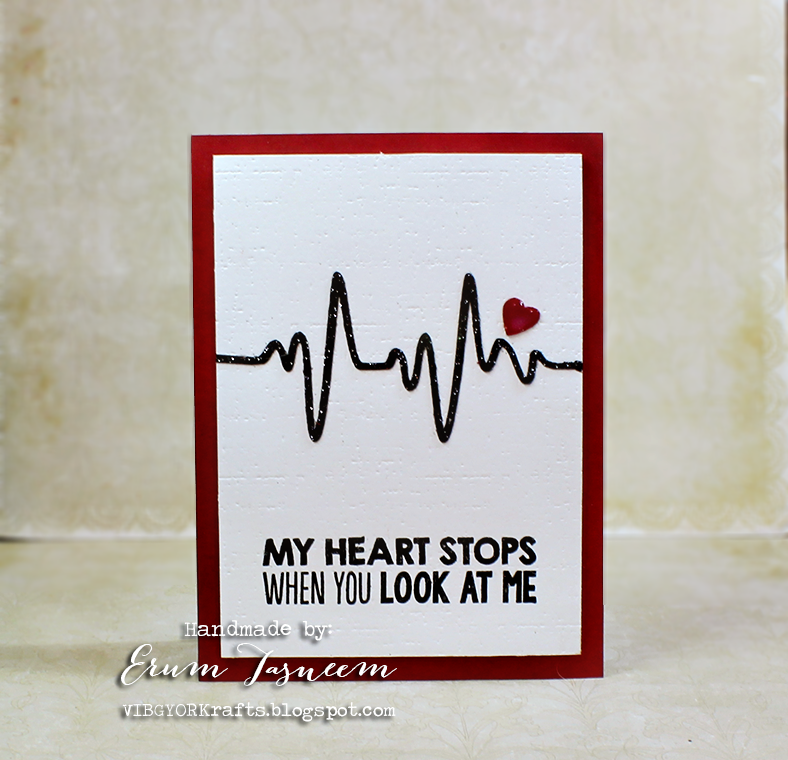 Please stop by the Lia Stampz blog and play with us!